Join Brooke Munro in Melbourne for a full day of making and creating. 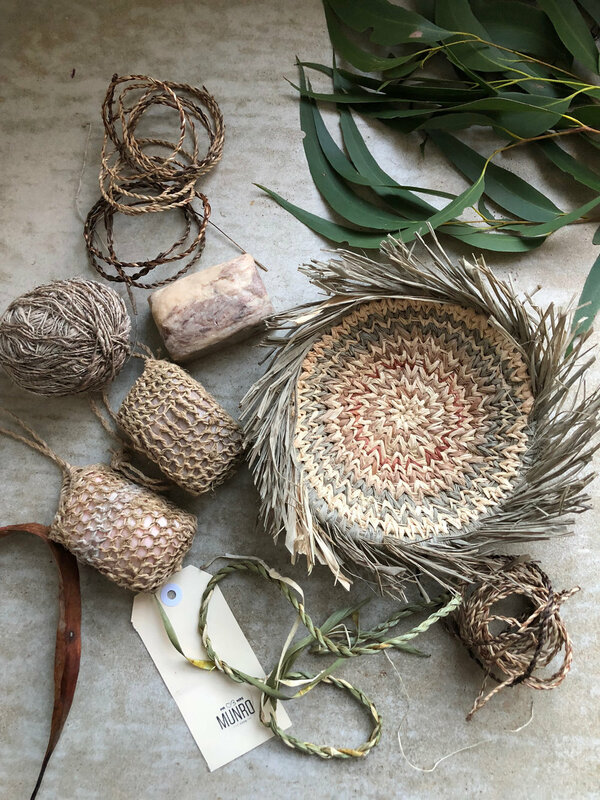 On Friday 1 and Saturday 2 June 2018 Brooke will be hosting a special, full day basketry workshop at the Cowork Collective in Brunswick, East Melbourne. On each day, Brooke will be teaching three different basketry techniques; Hidden Core Coiling with raffia, Cord and String making and string bag making (around hand made scented goats milk soap, which smell utterly divine!). The coarse string bag makes a wonderful loofah and is happily reusable. All tools and materials will be supplied including two of the beautifully handcrafted soaps. A scrumptious, grazing style, light lunch will be provided by the team at Melbourne’s own Firecraker Events. Tea and coffee will also be on offer to keep the souls nourished and fingers working.